Model Train Open House. Great fun for all ages. Be the engineer of a train on the Pere Marquette Railroad. 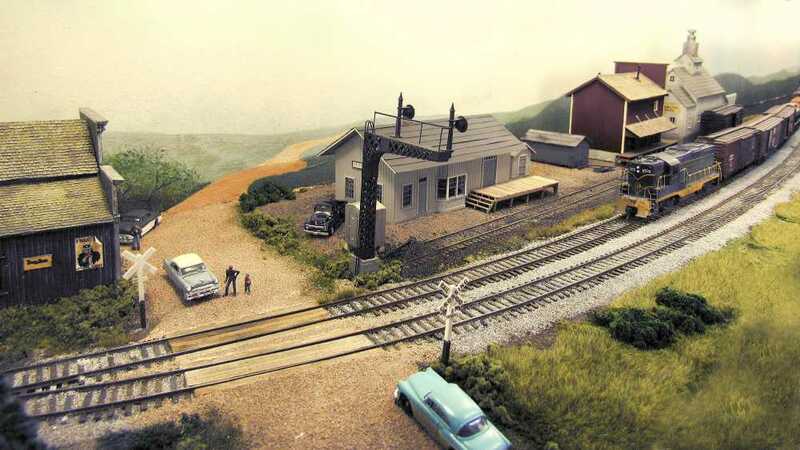 The Grand Rapids Model Railroad Historical Society was established for the purpose of promoting and preserving the hobby of model railroading, the history of railroads and railroading in the Grand Rapids area and providing a forum for the exchange of information about railroads in general. It is a goal of the Society to construct an operating scale model railroad "layout" to illustrate the history of the area railroads in a three dimensional form. This layout has been designed to represent the Pere Marquette Railroad, circa 1945, as it existed between Grand Rapids and Bay View, Michigan (known as the Petoskey Sub Division). Baldwin and Ludington, Michigan (known as the Ludington Sub Division) and Plymouth, Michigan and Chicago, Illinois.